Some of his advisors advocated an air strike against missiles in Cuba before they became operational. But this ran the risk that several of the weapons would be launched against American targets before they could be destroyed. (In retrospect, we now know, as Kennedy and his advisors did not, that in addition to strategic nuclear weapons, Khrushchev had deployed nearly 100 tactical nuclear weapons to Cuba that would almost certainly have been used against Americans if the U.S. had attacked). Others counseled Kennedy to find a way to live with Soviet missiles in Cuba, noting that the U.S. had a similar missile base in Turkey on the borders of the Soviet Union, and that in any case, Americans were already vulnerable to nuclear attacks from the Soviet Union. But if Khrushchev succeeded in this stroke, he would be emboldened to act against Berlin, which the U.S. was committed to defend – even if that meant war. Faced with the choice between attack or acquiesce, Kennedy rejected both. Instead, he crafted an imaginative alternative with three components: a public deal, in which the U.S. pledged not to invade Cuba if the Soviet Union withdrew its missiles; a private ultimatum, in which the U.S. threatened to attack Cuba within 24 hours unless Khrushchev accepted that offer; and a secret sweetener that promised the withdrawal of U.S. missiles from Turkey within six months after the crisis was resolved. While this succeeded in zeroing out Soviet missiles in Cuba, it did so at the price of leaving a Communist puppet regime in Cuba and stressing US relations with Turkey. As the U.S. contemplates the choice between attacking Iran or acquiescing in its acquiring nuclear weapons, the deeper one drills down on either, the less acceptable it appears. If Iran gets a bomb, this will trigger a cascade of proliferation in the most volatile region of the world, increasing risks of a devastating conflict. Alternatively, a preventive air strike can delay Iran’s nuclear progress at identified sites. It cannot, however, erase the knowledge and skills ingrained in the heads of many Iranian scientists. 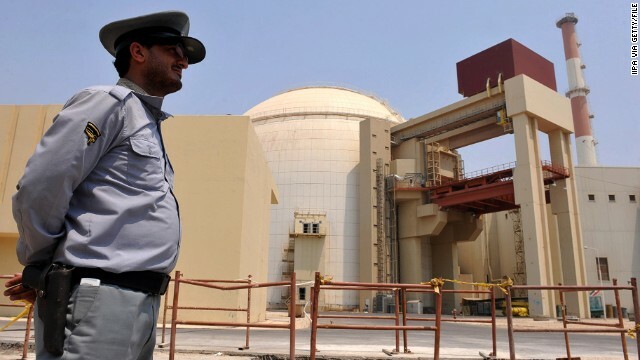 Indeed, an attack would solidify Iranian determination to get a bomb as quickly as possible and dissolve the international sanctions regime that has both delayed Iran’s nuclear program and created incentives for it to negotiate. The unappealing truth is that any outcome that stops short of Iran having a nuclear bomb today will still leave it with the ability to acquire one at some future date, since Iran has already crossed the most significant “red line” of proliferation: mastering the art of enriching uranium into weapons-usable material. There is no plausible outcome that permanently eliminates Iran’s nuclear weapons option. At this point, our best hope is a negotiated agreement that takes a page from JFK's playbook in crafting a third option that is not good, but less bad than the alternatives. If achievable, that deal would roll Iran's nuclear program back far enough to deny it an exercisable nuclear weapons option, coupled with transparency measures that maximize the likelihood we would discover any cheating. Any such deal should be sealed with an unambiguous (perhaps secretly-communicated) threat of a regime-changing attack should the agreement be violated, together with a pledge not to attack otherwise. An ugly deal that meets these demanding criteria will not emerge from a process that gives Israel, Saudi Arabia, France and other allies a veto. Each is a sovereign nation with its own national interests, so we should not expect their views to be identical with our own. Especially when they are urging actions for which others will pay the price, nations tend to be unrealistically ambitious and overly demanding. Israeli Prime Minister Benjamin Netanyahu frequently reminds the world that Israel does not require the permission of others to act where its vital interests are at stake. That truth applies to other nations as well. I doubt very much that JFK would have listened to all the current day right-wing fanatics in Washington and would have been more flexible when it came to Iran. Moreover, had JFK not been assassinated in 1963, we would not have jumped into Vietnam and relations between the U.S. and Cuba would have eventually normalized! Indeed, Nov. 22, 1963 was a good day for the right-wing fanatics here in America! Its amazing to read some of the reply's on here I have no idea how so many people are so uninformed but post like they know something. Might best for some of you to do some reading before you post. First of all Kirk, while LBJ wanted the war in Vietnam, it was JFK who was having second thoughts after it was discovered that the C.I.A. was involved in the overthrow and the subsequent murders of Ngo Dinh Diem and his brother Ngo Dinh Nhu only three weeks before his assassination. Most probably, the Gulf of Tonkin incident would have never been staged by the C.I.A. either. As for Cuba, there have been moves at low levels on both sides behind the scenes at improving relations however gradually. The bottom line is that it was JFK who was the President during whose watch US got into Bay of Pigs, Caribean missile crisis (after all, remember whose idea was to put US missiles in Turkey which triggered the whole chain of events? ), then Vietnam etc... Yes, there are always irresponsible politicians who voice random oppinions, but it is the president who makes the decision. Yes, JFK was an inspiring person with charisma making public addresses still remembered today, but his wisdom in foreign policy was mediocre at best, to say it politely. It's always easy to speculate what JFK would or would not have done, had he been able to complete his term or perhaps won a second term. Foreign politics is so unpredictable. There are so many players around, defending their own interests. It was perhaps wise of JFK to avert the Cuban Missile crisis after all. It looks as if information wasn't perfect then. Had he authorised a strike, it would have had serious consequences for the US, given what we today know. It's doubtful if JFK would have acted more differently than Obama, were he in the Oval Office now. It was Eisenhower who sent the first military advisors to Vietnam, so blame him for "getting us into Vietnam." Only a regular FOX viewer would blame it on Kennedy without doing the homework. Kennedy would never have expanded the war like Johnson did. Johnson was a vulgar political hack who knew next to nothing about foreign policy, which is why he let McNamara run the Vietnam policy, with disastrous results. Kennedy would have understood when to quit listening to Mac, just like he knew when to turn off Curtis LeMay. The real question you should be asking is what would Nixon have done in a Cuban Missile Crisis situation had he won in 1960, and been faced with one? Would he have listened to LeMay? Or would he have been the Nixon that later "when to China" so to speak. If you want to hear something really funny, find the tapes where Nixon is talking about his experiences at the Bohemian Grove. It reveals in just a couple of minutes, as well as all the hundreds of pages of a classic like Nixon Agonistes can, just exactly how insecure the grocer's son from Whittier was around the rich and powerful, something Kennedy was definitely not. "...if not JFK death, relations with Cuba would be normalized..." - after Bay of Pigs and Cuban mussile crisis soon thereafter US-Cuba relations WERE NORMALIZED. The terms of the settlement are very clear: US signed up under agreeing not to attack Cuba and basically stay out and not to meddle with its internal affairs. All this happened on JFK presidentcy. There was nothing more left to be done, not even to be discuissed about Cuba. ...Bay of Pigs is simply too much insult for Cuba. It cannot be forgotten, "expunged", or anything of this sort. To see who really murdered JFK. It would more than likely would have been the case@McCarthy. What's wrong with those who are elected to serve Americans and American interests is amply demonstrated by this piece of news. Sen.Mark Kirk (R) in an invitation only phone briefing to supporters bursts out " I fought elections and got elected to the Senate to fight for Israel's survival". The same sentiments were echoed by our UN ambassador. Can we trust those who are elected by us Americans to guide our destiny? Then Senator Kirk can by all means join Israel's most capable army, since he seems uninterested in representing Illinois interests. the jewcons(neocons)(israelis camoflaged in red, white, blue) would be in prison. They and their ilk would rather serve Tel Aviv at US tax payers expense and at the expense of US interests. Well we elect them don't we? When these individuals we vote to capitol hill, all congressmen and one third of the senate, at the start of each new congress are required to take the oath of office, which in it's current form was inst ituted 1884. I do solemnly swear (or affirm) that I will support and defend the Const itution of the United States against all enemies, foreign and domestic; that I will bear true faith and allegiance to the same; that I take this obligation freely, without any mental reservation or purpose of evasion; and that I will well and faithfully discharge the duties of the office on which I am about to enter: So help me God. When and where was this changed to, If elected, I will do what is necessary to protect Israel and whatever other country while forsaking my allegiance to my country. JFK could act, when he was president, knowing that he had the support of citizens vastly different from those of today. When he said, "ask not what your country can do for you," he knew that his message would be understood and put into action. Somewhere during our journeying in the fog of what we were conditioned to think, we lost our bearings and let this happen to this nation. I blame us. Indeed times have changed vastly and the mindset. We have those with large shadows and intellectually puny stature propped up by lobbies and special interest trying to play gods on Olympus up on the Hill, plotting our future. We the public is complacent and therefore complicit. You people are so...obssessed...about another boots on the ground war in the Middle East. JFK, Reagan, Obama.......whichever President furthers the law that allows recruiters to come to YOUR houses and drag your kids into military service and put them on the front line in a tank...that will be a great leader. The 'We're Americans with a capital A" innagural of Kennedy is a worldview that has cost us too much blood and treasure. Our new national policy is and SHOULD be...'Its the 21st Century. Grow up and work it out on your own." We will never have a president as great, charismatic, energic, or as caring as John F. Kennedy. He would have found a way to resolve global issues without military action, but that doesn't mean that he would have ruled out the possibility of military action. To Kennedy, the use of our military was always last of what he would do if they could not negotiate.